PET-Austin is now on Facebook. Like us and follow us to keep up with the latest about what is happening. Seun visited Bethany on Saturday night for a reception and on Sunday Morning for both Sunday School hours. In all cases, she was a hit with everyone. To the left Seun is talking to the Sunday School group with Von Driggs. Seun formed a special bond with Susan Lamb (one of our volunteers). 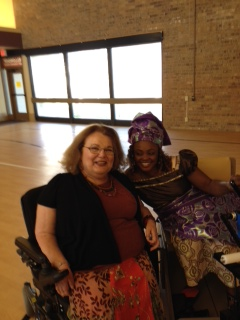 Seun is the last recorded case of polio in Nigeria and Susan was one of the last recorded cases of polio in the US. As a part of Seun's visit, we collected offerings to send a container of PETs (160) to Nigeria in Seun's honor. The amount needed to achieve this was $4800 and we collected just over $2400 on Sunday with additional donations coming in over the next week or so. If you did not get a chance while she was here and would like to help with this special effort, click on this donate button and send in a donation or drop an offering in the plate at Bethany with "PET/Seun shipping" on the memo line. 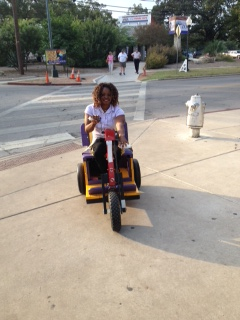 Yesterday, I took Seun and Mary to San Antonio to visit the PET-SA shop. 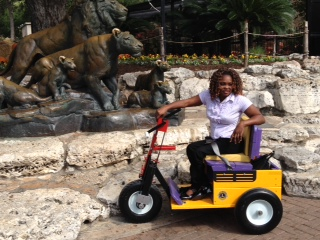 PET-SA hosted a visit to the San Antonio Zoo and a luncheon for Seun at their shop. Seun really prefers using a PET rather than her wheel chair. It was also an eye opener for us to actually see someone on a PET that uses one on a daily basis. 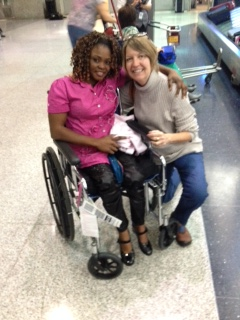 Seun Oke and her traveling companion, Mary Frantz, arrived in Austin today. On the way to the hotel, we stopped at the TyRex PET shop and Seun got to meet Andrew Cooper, one of the co-founders of TyRex. I will be posting updates as the week continues. PET-Austin has become a partner with I Live Here I Give Here which is an organization focused on increasing philanthropy in Central Texas through online giving. Each year they put on the Amplify Austin Day which is 24 hours to give where you live to a cause you care about (PET-Austin and others) and a city you love! 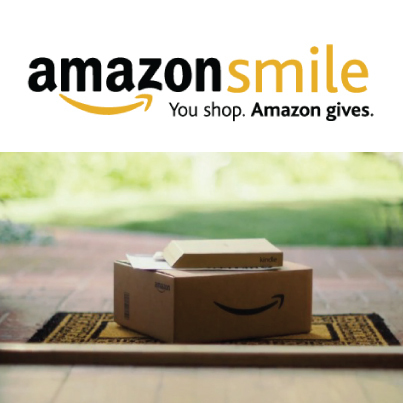 Your gift is amplified through the incentive pool and exciting incentive prizes that PET-Austin may receive on Amplify Austin Day. Last year, over $4 million was raised during this one 24 hour period and distributed to the participating organizations. Help us make an even bigger impact this year. I will be posting more information about Amplify Austin Day 2015 which will take place from 6:00pm March 4 through 6:00pm March 5, 2015. United Access is becoming a helping partner with PET. 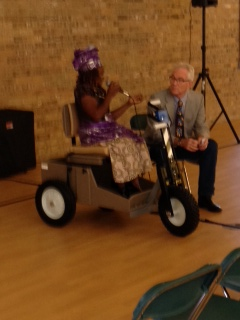 They will be providing a handicap equipped van for PET-Austin to use during the time that Seun Oke is here in Texas on her tour. United Access has been in the wheelchair van industry for over 30 years. Accessible vans are their specialty. They are dedicated to providing the best service for all of your accessible transportation needs in each of their locations. From its humble beginnings, United Access has evolved into what it is today, an industry-leading provider of wheelchair accessible vehicles, driving systems, mobility seats, handicap lifts, and other vehicle modifications. Visit their Austin web site at http://www.unitedaccess.com/locations/austin-tx.php.